It’s only right that the country should debate the consequences of the decision to step up our role in the mess that is Syria/Iraq and the insane actions of IS and other global Islamic extremists. Regardless of where you stand on the issues in question ( and there are many , both political and ethical ) spare a thought for the UK pilots ( and all pilots & other personnel) whom are now pawns in this new kind of war and will be flying over enemy territory as they take the fight to IS and their deluded followers. 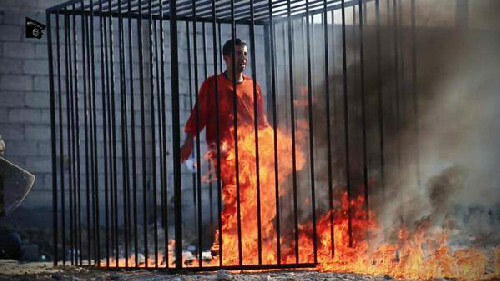 How can anyone forget the brutal execution of Jordanian pilot Muath Al-Kasasbeh , burnt alive in a cage after a demonic stage show that saw him make his past masked IS fighters lining the route to the cage that would be his final destination and brutal execution. Anyone unfortunate enough to fall into the hands of IS should be in no doubt that they face a brutal and possible prolonged and excruciating death. For IS are an enemy that love to shock and terrorise and they have no boundaries or humanity when dealing with captured enemies or those unfortunate enough to live under their savage rule. For this is unlike any other war that has gone before and all normal rules of engagement are redundant against the mad men of IS and their twisted ideology. Unfortunately the mercy of a bullet as a form of execution is seldom available to those facing death at the hands of these Islamic demons. The Geneva Conventions are a series of treaties on the treatment of civilians, prisoners of war (POWs) and soldiers who are otherwise rendered hors de combat, or incapable of fighting. The daily treatment and executions of innocent people in Raqqa and Mosul are testament to ISIS,s total disregard for the sanctity of life and global opinion. 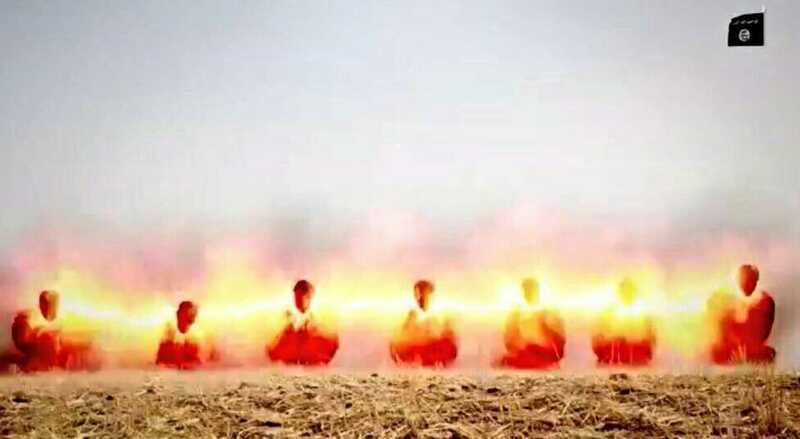 Their brutal beheadings and other forms of public executions have almost lost their power to shock and sadly these gruesome acts dominate News headlines and social media and the world has instant access to the almost daily sick propaganda of these murdering psychopathic madmen . Theirs is a war without rules or a political masters and the only outcome they expect is total victory or martyrdom. This is a new era in international terrorism and the world has to unite to destroy these mad men and their sick, twisted ideology. Below is a brief summary of some of the most barbaric and medieval executions that Islamic State have carried out. I have not included video’s or beheadings as it is not my aim to promote the acts of these mad men and to be honest I can’t watch people being killed in the most brutal fashion and sleep peacefully in my bed. The few executions I have watched have hunted my soul and I can’t get the images out of my mind for days and weeks afterwards. Even compiling this list made me feel physically sick , but I wanted to catalogue some of the insane actions of these psychopath’s that are a stain on humanity. The self-proclaimed Islamic State militants released new video footage on Saturday purportedly showing a Syrian army soldier in Homs being run over by a tank and executed. 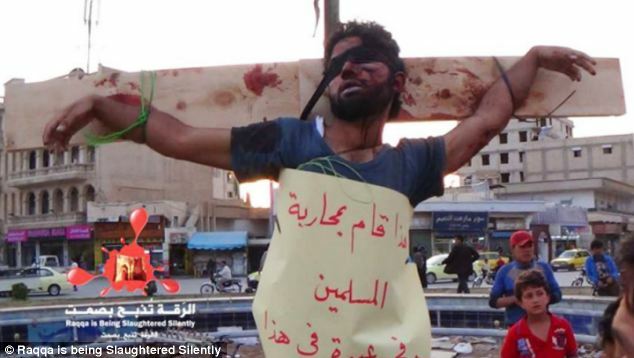 A man has reportedly been blindfolded and thrown off a tower block in Syria for ‘being gay’ before being stoned to death after surviving the fall. TERROR group ISIS has released new footage that appears to show prisoners being lowered in a cage into a swimming pool and left to drown. 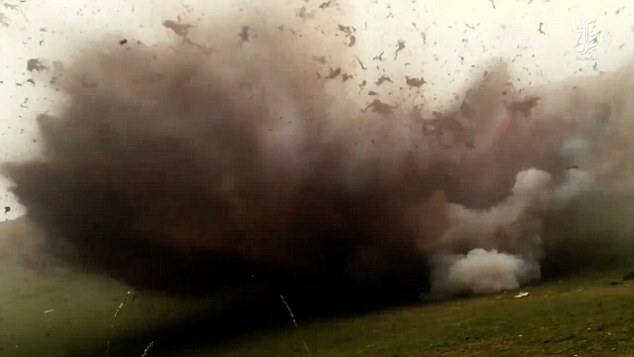 IS killers strapped a string of bombs around the necks of a line of prisoners – then blew them up! 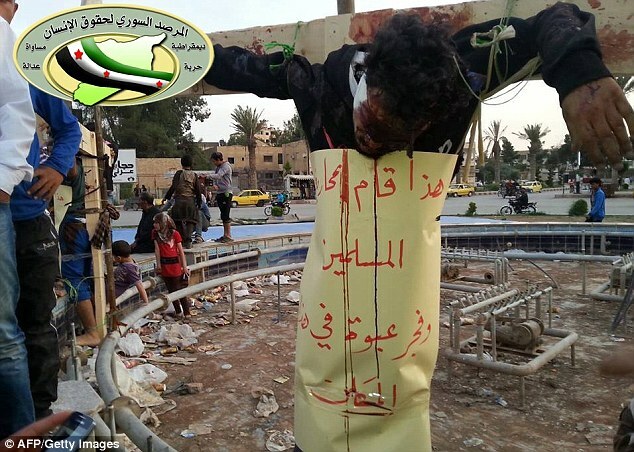 Islamic extremists have publicly crucified two Syrian rebels in northeastern Syria in revenge for a grenade attack on members of their group. cross or the red crescent is the sign of such protection and must be respected. reprisals. They shall have the right to correspond with their families and to receive relief. corporal punishment or cruel or degrading treatment. unnecessary losses or excessive suffering. object of attack. Attacks shall be directed solely against military objectives.